This is a very nice Parker Sonnet fountain pen, sent to me at Christmas as a gift from those lovely people at I Love Pens. The pen comes in a lacquer black finish with a nickel palladium plated trims and a solid gold nib covered with rhodium. 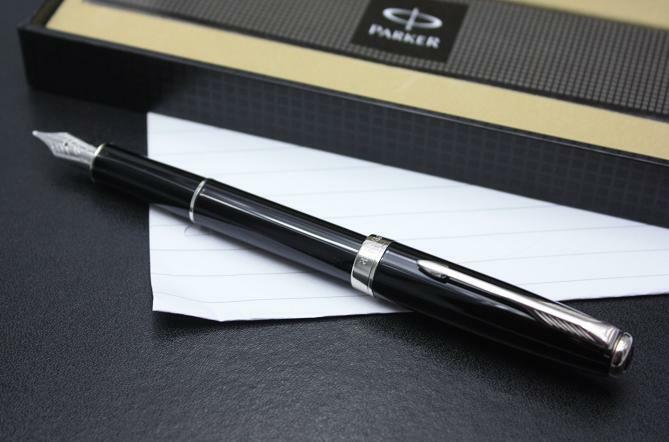 The Parker Sonnet fountain pen is a pleasure to write with and is part of the Sonnet range by Parker which has been around for quite some time. You can use the converter which is supplied to fill with ink for the more traditionalist, but for those on the go cartridges can also be easily fitted. 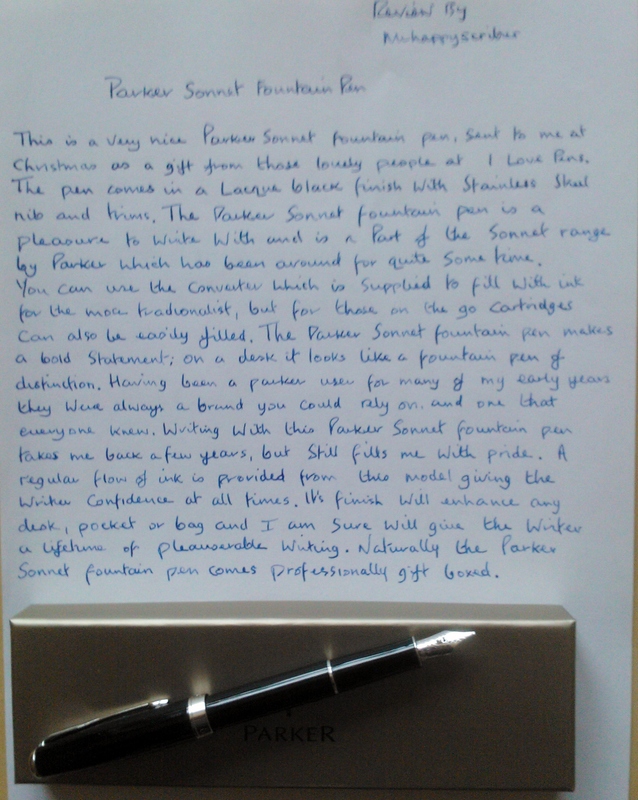 The Parker Sonnet fountain pen makes a bold statement on; on a desk it looks like a fountain pen of distinction. Having been a Parker user for many of my early years they were always a brand you could rely on, and one that everyone knew. Writing with the Parker Sonnet fountain pen takes me back a few years, but still fills me with pride. A regular flow of ink is provided from this model giving the writer confidence at all times. Its finish will enhance any desk, pocked or bag and I am sure will give the writer a lifetime of pleasurable writing. Naturally the Parker Sonnet fountain pen comes professionally gift boxed.